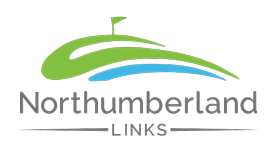 On Tuesday, July 11th, the Women’s Division of Northumberland Links is holding their annual Phyllis O’Connell Memorial Food Bank Tournament. The tournament is open to all women members. Non-members are welcome to play for the current green fees. All Northumberland Links members are urged to donate to this worthy cause. The Open Hamper Food Bank needs support during the summer months when donations are down and the school’s breakfast program is not available. Donations of $5.00 or more will receive a receipt for tax purposes. Contributions may be dropped off at the pro-shop, given to Donna Murray or Elaine Cook. The sign-up sheets are on the Ladies Bulletin Board. Cut off date is July 8. If you have not registered call the pro-shop. There may have been cancellations.